[Satnews] The Space and Missile Systems Center has awarded the first two Other Transaction Agreements (OTAs) for shared public-private investments in Rocket Propulsion System (RPS) prototypes to SpaceX for development testing of the Raptor upper stage engine and Orbital ATK for development of the Common Booster Segment main stage, the Graphite Epoxy Motor (GEM) 63XL strap-on booster, and an extendable nozzle for Blue Origin's BE-3U/EN upper stage engine. The initial government contribution to the SpaceX OTA is $33.6 million. The initial government contribution to the Orbital ATK OTA is $46.9 million. The Air Force is still in negotiations with the remaining offerors and subsequent awards, if any, will occur over the next few months. The OTA awards are part of a comprehensive Air Force plan to transition off the Russian- supplied RD-180 propulsion system used on the Atlas V rocket by investing in industry solutions with the ultimate goal to competitively procure launch services in a domestic launch market. The Air Force will award a portfolio of investments in industry's RPS solutions, which vary depending on what industry proposed. The solicitation allowed companies to submit proposals for the development of a RPS prototype, which ranged from full development of a new RPS, modifications to an existing RPS to meet NSS requirements, smaller projects to address high risk items for an RPS or subcomponents, or activities required to test or qualify a new or existing RPS to meet EELV requirements. Therefore, the value of each agreement varies depending on what was proposed. At least one third of the total cost of the RPS prototype project will be paid out of funds provided by parties to the transactions other than the federal government. These RPS investments, which will initially occur over the course of 12 to 18 months, will build the foundation for future investments in industry launch system solutions and launch service commitments from invested companies. 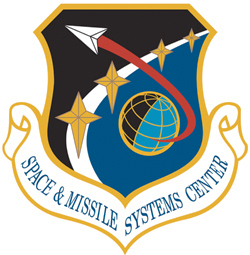 Concurrently, the Air Force will continue to award launch services contracts to certified providers who demonstrate the capability to design, produce, qualify, and deliver launch systems and provide the mission assurance support required to deliver national security space satellites to orbit. "Having two or more domestic, commercially viable launch providers that also meet national security space requirements is our end goal," said Lt. Gen. Samuel Greaves, the Air Force's Program Executive Officer for Space and SMC commander. "These awards are essential in order to solidify U.S. assured access to space, transition the EELV program away from strategic foreign reliance, and support the U.S. launch industry's commercial viability in the global market."